WDS is proud to offer a groundbreaking new program under which, based on Adjusted Gross Income (AGI), families with at least one child in grades K-8 may be eligible to receive up to 40% off tuition—without the need to complete a scholarship application. After intensively studying the tuition and financial aid programs offered by approximately 100 Jewish day schools across the United States, we designed an income-based tuition cap that is unique in its simplicity and its fairness. The tuition cap is based on a percentage of AGI that rises slightly as AGI rises. For a family with an AGI of $150,000, the cap is 13% of AGI (i.e., $19,500). 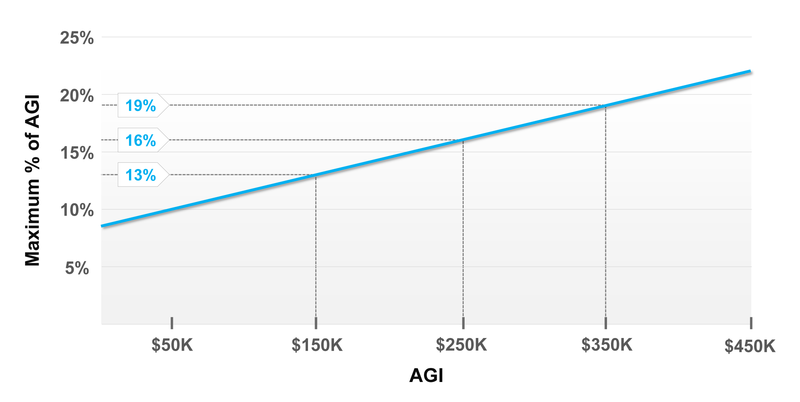 For a family with an AGI of $250,000, the cap is 16% of AGI (i.e., $40,000). For a family with an AGI of $350,000, the cap is 19% of AGI (i.e., $66,500). The income-based cap includes tuition obligations to area yeshiva high schools. If a family has children enrolled at one or more yeshiva high schools, identified and approved by WDS in its sole discretion, the WDS tuition obligation under the program would be based on a pro rata share of the income-based tuition cap. For example, if the family’s WDS tuition is $50,000, and the yeshiva high school tuition obligation is $25,000, WDS’s pro rata share under the program would be (50/75), or about 67%, of the income-based tuition cap. Under this program, you may enjoy up to a 40% reduction off your family’s default tuition per the WDS tuition schedule. Reductions of more than 40% remain available through our traditional scholarship program, but the income-based program will provide many families with the relief they need without having to complete a scholarship application. The following tuition calculator allows you to estimate your financial obligation to WDS based on the matrix and income-based programs. Please note that a family may utilize either the matrix program or the income-based program (whichever provides greater benefit). The estimated obligations include tuition, scholarship fund and PTA dues. The $1,250 per family security fee and the $350 graduation fee for 8th graders are separate. The estimated obligations are approximate because they are based on published tuition rates. The calculator is updated as WDS and high schools in the area release their tuition amounts. To take advantage of the matrix or income-based programs, families must submit their 2-page Form 1040 from 2018 and 2017 to WDS Executive Director Rachel Goldman (rgoldman@westchesterday.org, 914-698-8900 ext. 108). The school reserves the right, in its sole discretion, to require that families provide additional information in order to determine eligibility for the program. We expect that you will receive written confirmation of your obligation to WDS within two weeks of submitting this information. The calculator uses high school tuition numbers published on the high schools’ web sites. For any high schools that charge different rates for 9th through 12th grade, the calculator uses the average rate. For additional information about the Income-Based Tuition Cap Program, please read our Affordability FAQ.